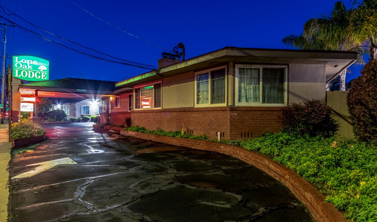 The Loan Oak Lodge is conveniently located on North Fremont Street off of Canyon Del Rey Boulevard. Our location allows for quick access to Highway 1 and Highway 68. There are trendy restaurants and specialty shops within walking distance, and we are just six minutes away from the Monterey Regional Airport (MRY). For guests who would like to leave their car at the hotel, public transportation via the Monterey-Salinas Transit lines runs along Fremont Street just outside our hotel. 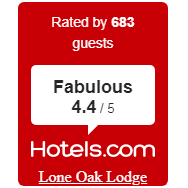 The Lone Oak Lodge is minutes from major attractions like the Monterey Bay Aquarium, Cannery Row, Fisherman's Wharf, Carmel, and 17- Mile Drive. Many public beaches are nearby that are ideal for snorkeling, scuba diving, and surfing. 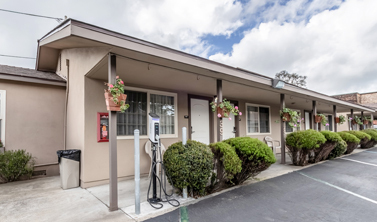 We are a short drive from state parks and reserves, and minutes from the Monterey Bay Coastal Recreation Trail. Monterey California is unique in every way offering stunning landscape, one of a kind attractions, world-class dining, and attractions that are ideal for every budget and interest. There is something for everyone in Monterey. We look forward to hosting you while you visit our iconic city. 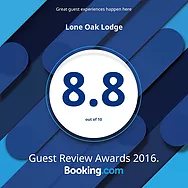 At Lone Oak Lodge, guests enjoy that our motor lodge with unique family-friendly that offers cottages, guest rooms, and suites that are 100% smoke-free. 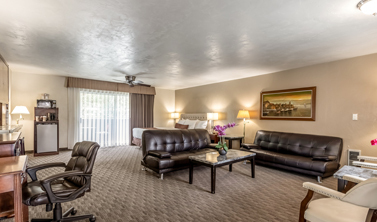 We provide guests with complimentary WiFi, as well as complimentary self-parking. 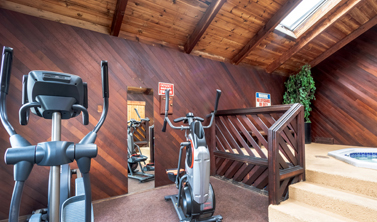 Additional amenities include premium cable channels, an indoor Hot Tub room with a dry sauna, and fitness equipment. We have a very nice outdoor scuba rinse area, as well as an outdoor barbeque area, and a fire pit. For business travelers, we have 350 square feet of business and conference space that can accommodate up to fifteen people. Our in-room amenities include flat screen TV's, blue-ray players, mini-refrigerators, microwaves, coffee makers, and irons and ironing boards. Additional comforts include Starbucks coffee, tea, and hot chocolate and fresh cut flowers. Each private en-suite bathroom includes hair dryers, soft towels, and complimentary toiletries. 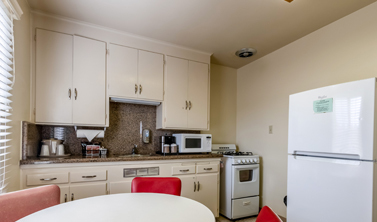 Our ideal location is within walking distance to restaurants and specialty shops. 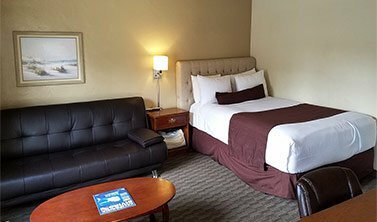 We are a short drive from top attractions in the area like the breathtaking California coastline and beaches, the Monterey Bay Aquarium, Fisherman's Wharf, Cannery Row, 17-Mile Drive, and Pebble Beach. Monterey is host to incredible museums, historic missions, annual festivals, and exciting car races. There are many state parks and recreation areas that are nearby for guests who want to enjoy hiking, wildlife watching, or cycling. 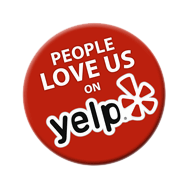 Additionally, Monterey and nearby Carmel offer world-class dining and wine tasting rooms. As our guest, you will be near all of the exciting attractions that Monterey County has to offer.